Why Lease from Ray Brandt Nissan? Ray Brandt Nissan wants you to know your options. Our leasing professionals can customize the vehicle, payment and term to match your needs. Leasing a car can be beneficial to you in several situations- maybe you like staying in the newest cars or don’t drive enough to commit to purchasing a vehicle. With leasing, you make monthly payments on a fixed lease term, usually at a lower monthly payment than purchasing. At the end of your lease, you can turn in your vehicle and start a new lease on another new vehicle, or you can purchase the vehicle you’ve been leasing. You can also return the car at the end of your lease and walk away. Leasing allows you to stay in the latest models and test out vehicles you are interested in but maybe not ready to commit to. Instead of paying for a car that will likely be depreciated after you have paid it off, at the end of your lease term you choose a new model or another car. From start to finish, leasing a car saves more time than trying to secure financing and trade in an old car would. You have the convenience of using a vehicle and returning it at the end of your lease. Your local Nissan Dealership in New Orleans lets you keep more money in your wallet. Advertised prices assume the down payments for your current vehicle allowing customers to keep more of their money. Our friendly team of professionals, with excellent customer service and standards, are standing by to help you lease a new Nissan for less than the competitors. Your Ray Brandt Nissan frequently offers a sign and drive program that saves you time and money. Customers can now use the equity in their trade to lower the monthly payments on their lease. 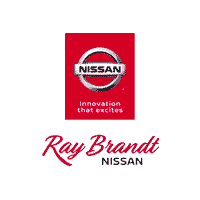 Ray Brandt Nissan New Orleans can show you how to turn the equity of your trade into a check. Drive away hassle-free with your local New Orleans Nissan leasing dealer. Customers have valuable options at the end of their lease including the option to buy. You’ll get a quality appraisal and can later decide what works best for you. You can even turn in your lease for newer leasing options. There are many great reasons to lease your new Nissan from Ray Brandt Nissan. Our finance center specialists will work to get you the best deal on your new Nissan. We’re conveniently located in Harvey, LA, and also proudly serve drivers in the greater Metairie, New Orleans, Mandeville and Gretna areas.